With 10 Cloverfield Lane, producer J.J. Abrams delivered another effective dose of his signature brand of "mystery box" filmmaking, keeping viewers on the edge of their seats while they try to figure out the answers to a series of tricky riddles. But as much as we've learned by the time the closing credits roll, there are still a number of mysteries left dangling. Here are a few of the biggest unanswered questions. What's the deal with Howard? 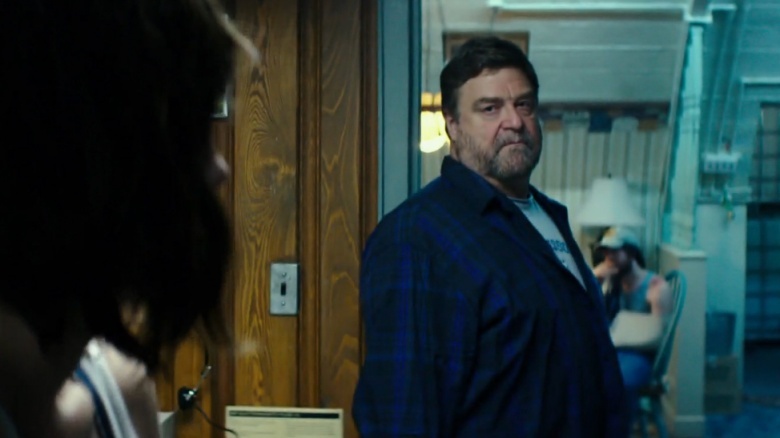 The huge ambiguities surrounding John Goodman's character are part of what makes 10 Cloverfield Lane so intensely watchable (and just plain intense)—from one moment to the next, you're not sure if he's a bunker-dwelling murderer or a fundamentally good guy who just happens to be a tinfoil nutjob. By the end of the movie, we've learned a little more about his capabilities—and whether he was right about what's lurking outside the bunker—but his reasons for holding Michelle, and his role in how she ended up there, aren't necessarily clear. The audience's relationship with Howard goes topsy-turvy after Emmett shares a key piece of information regarding a photo Howard has told Michelle depicts his estranged daughter. From that moment forward, it seems pretty clear Howard's been hiding at least one whopper of a dark, ugly secret, but it's all based on hearsay. What if Emmett wasn't telling the truth? He was in the bunker before Michelle arrived, after all—and while his relationship with Howard never appears to be 100 percent chummy, he claims to have helped build the place. In a movie that thrives on misdirection, it's worth wondering whether what we see here is really all we get. Where was Michelle going, and why? 10 Cloverfield Lane's almost wordless opening makes it obvious we're watching a woman running away in a hurry. Michelle's first order of business is to pack up her stuff, leave her engagement ring behind, and hit the road in an effort to get away from her spurned fiancé (Bradley Cooper in a voiceover cameo). By the end of the movie, Michelle's clearly grown into the type of person who's more likely to face her problems than run from them, but the facts of where she came from—and where she was heading in the first place—have yet to be explained. How does this tie in with Cloverfield? The short answer is "not at all." 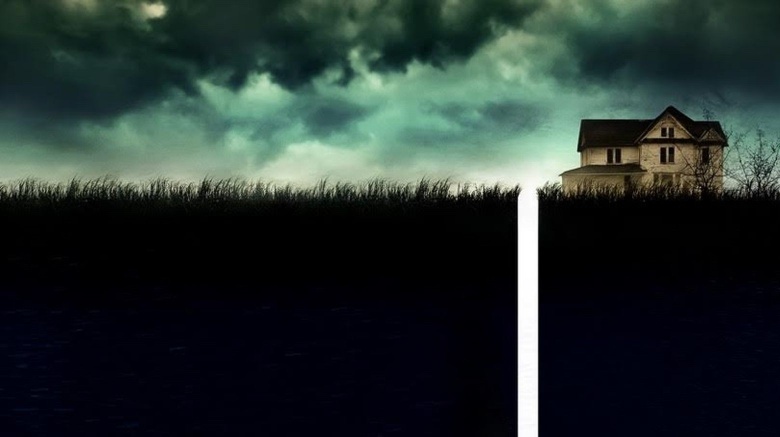 As director Dan Trachtenberg has explained, 10 Cloverfield Lane is neither a sequel nor a spinoff of the original, and doesn't even really inhabit the same cinematic universe; instead, the hope is that the Cloverfield name can function as a sort of platform for launching "interesting fun and original stories." Fair enough. But sharp-eyed viewers may have noticed that Howard's bunker contains an envelope from Tagruato, the company whose offshore drilling was responsible for spawning the monster in the original film, and the 10 Cloverfield Lane viral campaign revealed that Howard was a longtime employee of the Tagruato subsidiary Bold Futura, a company dedicated to "advanced technology products." That connection could just be the filmmakers having fun—or the start of a more detailed tie-in that will reveal itself over subsequent installments. If 10 Cloverfield Lane producer J.J. Abrams is true to his word, we'll never really get the answer to this question. Instead of sequels or spinoffs, he's looking to assemble a collection of "blood relatives" under the Cloverfield umbrella, which means while we can reasonably expect to see certain things repeat if the series continues, it's unlikely we'll ever find out what really happened to any of 10 Cloverfield Lane's main characters after the final frame. Of course, Abrams could always change his mind—he was initially reluctant to direct Star Wars: The Force Awakens, after all—but we're almost hoping he doesn't. 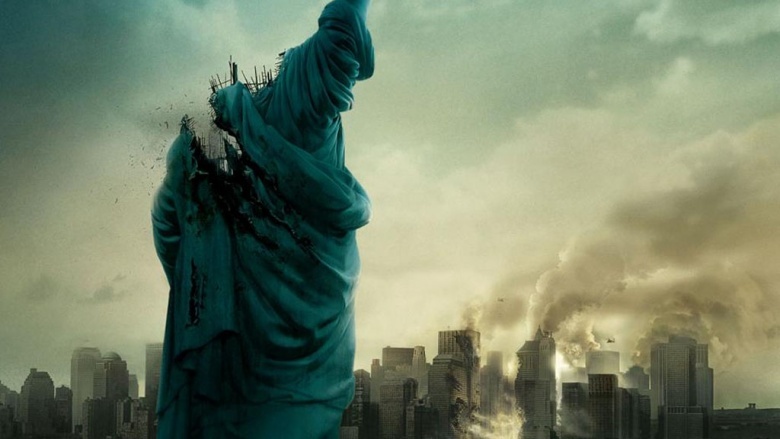 For decades, filmmakers had the freedom to tell self-contained stories without having to worry about sequels or reboots, and Cloverfield's kinda-sorta "franchise" status could point to a way for studios to leverage brand names without turning every last property into a cinematic universe.